This year-long geologic investigation studied potential subsurface storage of natural gas liquids (NGLs), namely ethane, from the Marcellus and Utica-Pt. Pleasant gas plays in eastern Ohio, northern West Virginia, and southwestern Pennsylvania. Development of these wet-gas producing plays will have a large impact on the petrochemical industry. 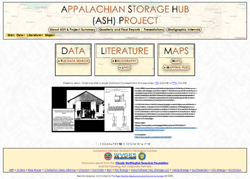 The ASH web site contains a wealth of resources including reports, data, maps, presentations, and stratigraphic correlation diagrams. A project funded by the Research Partnership to Secure Energy for America (RPSEA). Battelle Memorial Institute contracted WVGES along with the Kentucky Geological Survey, NSI Technologies, Ohio Division of Geological Survey, Pennsylvania Bureau of Topographic and Geologic Survey, and Ohio Oil Gathering Corporation to conduct the study. The project information page has a link to the fact sheet. 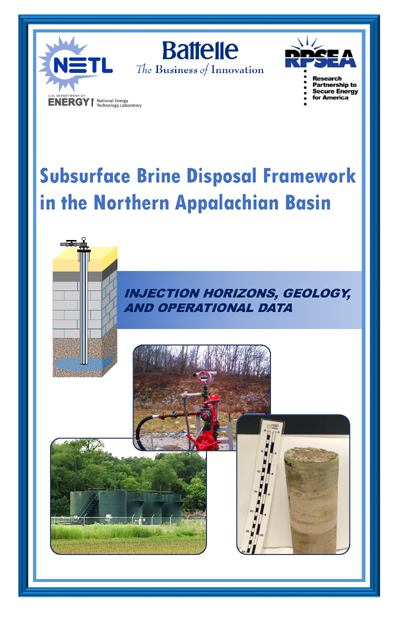 The objective of this 2.5-year project was to develop a geologic and operational framework for brine disposal in the Northern Appalachian Basin. This project was a two-year study to evaluate abandoned coal mines as potential groundwater sources. This two-year study examined the Utica and Point Pleasant formations at various granularities, ranging from basin-scale stratigraphy and architecture to the creation of nano-porosity as gas was generated from organic matter in the reservoir. This report presents the findings of an assessment conducted on the potential location of a coal-to-liquids production plant or geologic storage of CO2 in deep saline aquifers in Devonian or Silurian sandstones in West Virginia. This map and report is an examination of geographic and temporal trends in gas production in West Virginia through the creation of a digital oil and gas pipeline map of West Virginia to show approximate gas transport capacity and distribution capability. This web site provides public access to well-specific data and region-wide products for six significant regional tight-gas accumulations in the central Appalachian Basin with links to raw data (scanned well records, scanned wireline logs, digitized wireline logs, production data, core analysis reports, digital photographs of cores, scanned maps and cross-sections, and related data), an interactive map, and the final report. This web site presents the data and findings of a resource assessment model of Trenton-Black River reservoirs in New York, Ohio and West Virginia with links to raw data, presentations, an interactive map, interim and final reports. This report and supporting files contain the results of research conducted by the Rome Trough Consortium, a partnership of three state geological surveys, several energy industry companies and the U.S. Department of Energy. 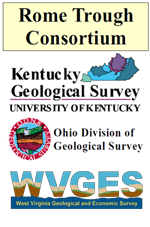 The Consortium was headed by the Kentucky Geological Survey, University of Kentucky, Lexington, Kentucky. Research was also conducted by the Ohio Department of Natural Resources, Division of Geological Survey in Columbus, Ohio and the West Virginia Geological and Economic Survey in Morgantown, West Virginia. This consortium was formed to gain a better understanding of the geology and deep hydrocarbon potential of the Rome Trough, a Cambrian-age depositional basin located in eastern Kentucky, northern West Virginia, and southeastern-most Ohio. The Consortium was initiated in January 1999, and research lasted 2 years, with a final project review and core workshop on January 24, 2001 at the Kentucky Geological Survey in Lexington, Kentucky. At this meeting members decided to continue research on core material that arrived near the end of the project. This report documents all research done through mid-2002. Significant new research resulted from the extra time allowed to continue this work. Download the zip file (225 MB) for free or order a CD for a fee at this link. Also see our Posters and Presentations page. Page last revised February 13, 2019.